UPDATED: The Commonwealth of Virginia's brief in support of the Anglican congregations is located here. The congregations' motion is here. (February 22, 2012) - Seven Anglican congregations in Virginia that are parties to the church property case brought by The Episcopal Church and the Episcopal Diocese of Virginia have filed a motion for partial reconsideration with the Fairfax County Circuit Court asking that the court reconsider the portion of its January ruling stating that certain personal property, including monetary gifts, given to the congregations prior to January 31, 2007, belongs to the Episcopal Diocese of Virginia. Since at least 2003, the congregations permitted donors to designate whether or not their donations were to be given to The Episcopal Church and the Episcopal Diocese of Virginia. By 2006, virtually all of the contributions held by these congregations were from donors who had indicated that their gifts were not to go to or be used for the benefit of The Episcopal Church or the Diocese. “The core issue that we are asking the court to reconsider is the right of donors to restrict the use of their own gifts to the church of their choice. We believe that they could. This is a religious liberty issue at its core as the courts are not lawfully able to coerce contributions to a specific religious entity against the wishes of the donors. We ask that the court honor the gift restrictions designated by individuals that have faithfully offered their contributions to these congregations,” said Jim Oakes, spokesperson for the seven Anglican congregations. 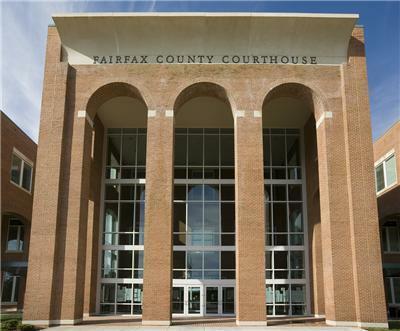 On Wednesday, February 22, the Virginia Attorney General filed a brief with the Fairfax County Circuit Court in support of the defendant congregations’ motion for partial reconsideration. “We are gratified that the Attorney General agrees with our argument and has filed a brief in support of this motion to protect the rights of charitable donors,” concluded Oakes. The Circuit Court heard the church property case last spring after the Virginia Supreme Court remanded it in June 2010. Last month, the Circuit Court ruled against the congregations, after they previously had succeeded in their efforts on the Circuit Court level to defend the property that they bought and paid for. The seven Anglican congregations are members of the newly established Diocese of the Mid-Atlantic, a member diocese within the Anglican Church in North America. For background on the case or to schedule an interview with a spokesperson, please contact Caitlin Manaois at (703) 683-5004 ext. 119. Certainly there have been parishioners restricting their contributions from being used to support the Diocese of VA or the national church since at least 2003and I am among them. Assuming the judge agrees, it would seem that most churches have sufficient records of contributions to designate restricted gifts. How gifts of property would be handled is more difficult, but it could be done, at least where the donor is still alive. Apostles began this practice in 1998. I suppose I ought to read the AG's filing before commenting, but I have spent the day furrowing my brow trying to imagine what possibly could be the Commonwealth of Virginia's interest in this. This AG is the most political AG we've ever had, and there are some big donors in at least one of the breakaway groups, but what is the state interest here? I'll dig out the filing and get back to you if I find illumination. The filing links from the Diocese of Virginia are now up on this post. Makes for interesting reading. A lot could be said about these filings. One threshold impression is that the departing groups are throwing in the towel on a challenge to the heart of the ruling through appeal, and are signalling an intent to instead try to stretch the date back far enough that they pick up some significant extra cash on their way out. I'm reading between the lines on that, so I could be wrong, but it definitely has that appearance. Another threshold impression is that the AG's filing attempts to inject constitutional issues into a structure that the trial judge had rather hermetically sealed off on state law grounds. It strikes me as a rather amateurish and crude attempt, but there it is, nonetheless. The judge's ruling about the cut-off date after which time everything would be deemed to belong to the folks who were departing struck me when I read it as fair, if not technically, legally correct. If someone wrongfully take possession of something that belongs to another, his intent or purposes really don't matter much once everything gets sorted out. Judge Bellows said that after a date about a month after the vote, one could safely assume that everything collected by the breakaway group was theirs. He could have said, "Look, you were in wrongful possession of someone else's property, you commingled their assets with yours, the date at which property starts accruing to your account is the date you leave and set up separate housekeeping. Instead, he drew a line far more favourable to the departees and it had the attraction of being fair, grounded in reality, and probably something that everyone could live with as rough justice. We can now look forward to extensive litigation on where that line should be set. PS: Having read the papers, I still don't see why the Commonwealth is involved, other than as a political ploy. The use of the AG's office as a campaign platform has gotten to be a real problem of late. At least when the previous AG got involved in the earlier phase, the issue was a potential defense of the constitutionality of a state statute (the Division Statute). I don't think these filings indicate anything about an appeal, but they simply stand for the sound constitutional argument that individuals should not be compelled to contribute to religious organizations with which they disagree. Let me give you an example. In December 2006, I wrote a check to The Falls Church in which I stated expressly in the memo line "NOT FOR DIOCESAN FUNDING" or something similar. So you are saying that the court can override that intent, essentially forcing me to contribute to (and thus support) a religious organization that I clearly stated I did not want to? And I thought the Obamacare mandate was pernicious . . . .
Steven - if they didn't want to contribute to the Episcopal Church or the Diocese, they simply could have left or not given money. But, at least until sometime in early 2007, people were trying to have it both ways - they were sitting in an Episcopal Church in the Diocese of Virginia and saying that they weren't part of it. Judge Bellows opinion clearly indicates how ridiculous that position was. Frankly, I very much doubt that one could identify dollar-for-dollar which dollars were intended to be restricted and which ones were not. I certainly didn't put any notes on the bills I put in the plate (plus the bills are long gone) or even on my checks to the church. Moreover, I didn't intend that any of my money be withheld from the Diocese. The priests and vestry who were intent on separation were really imposing that spin on the congregation, but I very much doubt one can pinpoint which dollars were given with restrictions. It's an absolute rat's nest to try to sort out and, at the bottom line, has, I suspect, no legal significance. If you were attending an Episcopal Church in the Diocese of Virginia, the money you gave still belongs to that Church. After you leave, your money goes to wherever you alight. Interesting to watch this develop from afar - sympathy for all the pain involved - is there any website that has a timeline for changeover to occur from one group of parishioners to the other group? Any observations on whether any current parishioners will stay when the change does occur or what has happened if a change has already occurred in one or more of the churches with the existing occupying group? In many cases pledge cards contained boxes to be checked as an indication of any restrictions. To be sure, it will be a difficult task to sort out what was restricted, but that task would fall to those making the motion. There were many people restricting their gifts well before the question of separation came to a head. Clearly, if I made a restricted pledge to be used for the operating expenses of the church, that money is gone and I have no expectation that it can be considered. However, if I made a large donation to be used over a period of years and do not want that money used by TEC, that is a different story. There are also gifts of personal property that the donors do not want to fall into the hands of TEC. Those can be identified. As far as Cuccinelli's involvement and possible political ties - would some be upset if I pointed out that the Supreme Court of VA and the DioVA were seated in tthe same city with fine old Virginia families in both organizations? Or that the departing churches are mostly from northern VA (not really southerners) whereas the court and the diocese are located in a southern town? In the end God will be the judge and "Queen Katherine" will be standing right next to Queen Mary 1 to answer for her persecution of Anglicans in the U.S. For now, let's just move past this and find a way for Anglicans and Episcopalians in Virginia to move forward as Christians together instead of adversaries, and maybe one day even do ministry together again. Ralph - your geographic acumen is beyond reproach. The Diocese of Virginia is located in the capital of that State, as is the Supreme Court. If someone made a contribution to Truro, or The Falls Church in the 2003-2006 period and said: " None of this shoud be used for anything Episcopalian", I guess my reaction would be to question why they are gifting an Episcopalian church. Even if one can separate out dollars that were not intended to be "Episcopalian" they still went to churches that were "Episcopalian". How does one un-ring that bell? I am not a great fan of restricted gifts, but if a congregation accepts gifts with restrictions it is bound to abide by them. Sorting through the restrictions I these situations may not be easy, but it should be done. It's a fair general statement, Daniel, but in this case, it doesn't seem to get the people who are urging this on the court nearly where they want to go. If I give money to an Episcopal Church but clearly (in a way that can be verified retrospectively several years later) states that the funds should not go to Diocesan programmes, I nonetheless have given the money to that particular Episcopal parish. If, some months or years later, I leave the Episcopal Church and go elsewhere, how and on what basis do I retrieve the money from the Episcopal Church that I left behind. The money may have gone into roof repair, hymnals, goodness-knows-what. And, despite my restriction against support for the Diocese or the national Church, the Episcopal Church to which I gave the money remains in place as a constituent component of that Diocese and the national Church. The whole thing is an impossibility. The trial judge's approach - drawing a line on the calendar after which the funds were deemed to be for the occupying break-away congregation - makes a great deal of sense and to pursue this latest theory strikes me as further enrichment of lawyers to the detriment of all. Because money is fungible, unless restricted gifts are kept in separate accounts the process of sorting out what's restricted and what isn't can be a nightmare. Even if segregated into identifiable accounts, if the monies were expended, consistent with the original clearly recorded restrictions, on services or things that are part of the parish, and the parish remains part of the Diocese, how can those who left claim to retrieve those funds or identify which elements of the physical plant now have to be monetized to make good that retrieval. Thanks Scout, I also have an awareness of good ol' boy networks. Pledge and plate dollars that went into the general fund are not the target of this motion. They cannot be reasonably sorted out and with very few possible exceptions, those dollars have been spent. The subject is gifts, either monetary or in the form of personal property. Monetary gifts that still have a separate account can be identified. Personal property can be identified by those donors for whom this makes a difference. I know of at least one instance where a member of a continuing congregation asked for the return of an item of donated personal property and that request was granted without the need for argument or negotiation. I also know of members of the continuing congregation who asked that funds contributed for purposes of acquiring adjacent real property not be used to pay attorneys' fees for the breakaway group. I'm not sure whether those requests were honored. It is one thing if we are talking about formal trusts or grants that contain covenants or express restrictions on use in perpetuity. The courts know how to interpret and handle these things routinely. I get the impression we are not really talking about that kind of issue and instead are talking about money pledges. I guess the question is whether there remain identified, segregated accounts of pledges or gifts conditioned on their not being used to fund diocesan or national church activities and, if so, why they would not simply pass with the property to the continuing congregation (probably subject to the same restriction). I very much doubt that there are any funds that were given to the parish for use that were expressly conditioned on the parish not being returned to Episcopal control. You clearly have a dog it his fight and I think that is coloring your judgment. I work for a private charity that operates on donations, grants and sponsorships from individuals and corporations. We are a fairly large organization with operations all over the world and in most of the states. If an entity makes a donation to a local operation and designates that operation only, those funds cannot go to our national headquarters or another operation. In the case of two competing operations claiming the same identity, I agree that the issues are stickier, but the bottokm line IS ALWAYS the intent of the donor. This is the essence of integrity on behalf of the donor in the Third Sector. It is non-negotiable if we expect people to continue donating willingly to charities of any kind. I very much doubt that there is very much pre-January 2007 (the Bellows date) money that is clearly denominated (and clearly unspent) as being held out from Diocesan or national church use. Even if there is, the most logical disposition would seem to me that it goes to the parish. It would seem to me that, to the extent there is something like this in play, the donors would be the ones to assert with the parish that the funds should not or cannot be used for this or that purpose. Although, of course, many of these people left the Episcopal Church and the local parishes some years ago. I continue to believe that drawing a clear line at the date chosen by the Judge is pretty fair to each faction in all this (although both sides could quibble about whether the line should be here or there). It also has the advantage of being administratively easy to work with. With the exception of churches with endowments, what is far more important to most people would be Grandmother's table donated to the church after Grandmother's death or personal property given as memorials. Since I haven't seen it pointed out yet, I'd add that the Attorney General's office has broad oversight over charitable matters in order to protect the public interest. The legal authority for this is stated in the first few paragraph's of the AG's brief. Obviously, there's some discretion involved in the decision to get involved in any particular case. That may be the point some are making above. I'm just pointing out the legal basis for the AG's involvement. RalphM - I'm sure those types of donations can be dealth with informally, as a matter of courtesy, as a matter of courtesy, without court intervention. There probably is very little in terms of tangible personal property that was transferred before the cut-off date established by the Judge, in any event. Moreover, I did not understand the motion that is the subject of the post to deal with that sort of property. JeffH, I saw the recitation of interest in the AGs paper, but it strikes me as both strained and strange. I imagine that if one looks at how that authority has been used, it is not to take sides in private disputes where there is every indication that the courts and the parties have things well in hand, but rather to address issues relating to fraud and misappropriation of charitable funds. I don't have the time or energy today to do the legal research, but I would be willing to put a near-Romney sized wager on this thesis. This case is a far cry from that. The AG inserted himself and his office at the behest of his political supporters in the breakaway faction. The paper he submitted says virtually nothing of substance, being couched in terms of "if what the people I'm supporting is accurate, then . . . . " His office had nothing to add to the discussion. If I were the judge on this, I'd be more than a bit annoyed. My forecast would be that nothing in that AG paper will prove dispositive. Your (and my) Taxdollars at Work, as the signs on road construction projects used to say. Dealing with TEC informally as a matter of courtesy is an oxymoron. While DioVA may be willing to do so, TEC is also a party to the settlement and in the past, TEC has demanded everything down to the crayons used in Christian Ed. I read the motion as dealing with real and personal property. It is long but worth a reading. TEC believes that under canon law all property related to the parish belongs to TEC. It doesn't matter whether it was in an express trust, let alone designated for a particular use. Didn't we just have the Virginia litigation go against parishes whose property was held in express trusts? And isn't the DC diocese currently litigating against a bank trustee to get to the assets of the Soper trust? The legal issues may be complex, but TEC's overriding operational principal that it owns everything is clear, and they've been pretty successful pursuing it. Ultimately, while this tack may be successful in getting hands on assets in the short run, I think it will make it that much harder for TEC parishes to raise money in the future, when TEC is under no obligation to expend it for the purpose to which it is given, and is not bound to honor restrictions. TEC parishes have benefited in capital campaigns in the past when the Dennis canon was less well known and they could hide the fact that donations could be used for some other purpose. That is much better known now, so the big donors will likely only be those happy with the current trajectory of TEC. I'm not sure TEC's actions regarding property are better known now than in the past. A friend cited two recent conversations with family members of small Episcopal churches in the midwest. She mentioned the battles over church property nationwide and the response was one of complete ignorance of the happenings. Could be, but I suspect the potential large and Soper-level donors, who tend to use advisors, have learned a lesson. The concern works both ways, as some donors might worry that their gifts to an Episcopal parish would be claimed by an Anglican one. The topic is the situation of the seven Anglican parishes dispossessed by the order of the court. There are no Episcopal parishes in the same situation. With perhaps one exception, these seven church properties will never again host viable Episcopal congregations. Will the DioVA seek to distribute donations back to the original Episcopalian donors when these properties are sold? After all, these donations were made to churches, not the DioVA, and those churches will no longer exist. 12:55 - you may be right. And perhaps that will affect donations in South Carolina from the revisionists in that diocese. I can't think of elsewhere that might come into play by now. But I suspect TEC has far more to worry about from losing gifts from the orthodox than orthodox congregations have to worry about losing revisionist major donors. As commonly noted back in 2003, while TEC's own estimates were that about 20% of the then-membership of TEC might be orthodox and likely to be actively opposed to TEC's revisions, that constituted a large portion of TEC's youngest, most active and giving laity, which was heavily tilted towards evangelicalism. Driving them out by refusing adequate alternative oversight (remember that?) was a major miscalculation by TEC (and there were plenty of institutionalists sympathetic to revisionism in 815 who warned about that, to no avail). And TEC has been reaping what it has sowed ever since. 1:20 - the answer to your question is no. There are other buildings to maintain and salaries to be paid. At least DoVA has no cathedral to lose (excepting Shrinemont, and they really need to do something about that before it falls down). I think the question of alternative Episcopal oversight is a bit of a red herring. I recall that the plan proposed by TEC was rejected by many because it did not allow traditionalists to bypass the diocese in the matter of ordination. Clearly that would have been such a break from TEC polity that it could not be accepted. It is my opinion that for many, but clearly not all, traditionalist clergy and congregations there was no desire to remain within TEC, as identification with TEC was seen as an impediment to mission. Far from being driven out, people made a decision that they could not in conscience remain in TEC. Had TEC chosen not to ordain women in the 1970s, I would have struggled with the same kind of decision. Had TEC not affirmed conscientious objection as a faithful stance, I would certainly have found it very hard to remain. Having longtime friends who have left I respect these decisions, but that is what they are. No one was forced to leave. Did evangelicals a decade ago want a place within TEC where they could do mission? Sure. DEPO, which I do not recall actually being offered by any bishop, didn't do more than allow another bishop in for visits in place of the diocesan bishop. It was not adequate alternative oversight as requested by the primates. There were no protections that a parish would be able to call an orthodox rector under the authority of that flying bishop, for example. They could not plant a daughter church under the authority of the flying bishop. Any higher neutral authority that might protect them somewhat, such as with the "panel of reference", was not countenanced. So at best it was not adequate; at worst it was just a trap to wait until the rector of an orthodox parish retired, when the revisionist bishop could chuck it and clean house. Of course adequate alternative oversight was not in TEC's existing polity. To institute it as the primates were asking (remember Dar es Salaam? ), TEC would have to do some homework. To say that it could not be done because it was not in the polity is to say the dog ate your homework. I think that the prevailing attitude in TEC in the early part of the last decade was that it did not need to offer adequate alternative oversight because, as you suggest, many in 815 thought this was women's ordination and St. Louis all over again. "It will all blow over", TEC's spokseman famously said on CNN. I know many institutionalists thought that the pewsitters liked the "Episcopal" name, would stay put, keep writing checks, keep having their kids married in the historic chapel, and so on. But that misuderstood the evangelicals that had grown up through the renewal movement, cursillo, alpha and the rest. When TEC said it was TEC's way or the highway, their departure was never going to look like WO. But don't say "it would have happened anyway". There were plenty of people in the ealry part of the last decade who had ideas of creative methods of accomodating the evangelicals while keeping them in TEC. It would have taken a lot of work. Maybe some change in TEC's precious canons. But it would have required TEC and its bishops forego the use of some power, and that, apparently, was impossible. I probably have less information than you do about DEPO. However, all this is behind us and the priority for both those who stayed in TEC and those who left is moving on in mission. Scout - If there was probably 'very little' in terms of personal property or restricted donations transferred before the cut-off date, then one has to wonder why the seven churches would have bothered to put forward the motion. And why DoVA was bothered when they did. A teenage son's parents are, tragically, struggling to get along. They try to work things out, but eventually there's a separation and the Mom moves out. Emotionally the son sides with the Mom, but he stays put at home, hoping and praying for a reconciliation at some later date. During this time a friend of the Mom buys the teenager a car, knowing that he might appreciate some independence, and that the parents, who might otherwise have bought him one, are currently distracted. At the same time some more of the Mom's friends buy the boy food and clothes occasionally; they redecorate his bedroom and take care of a few things at the house, for the boy's sake. (It's not over til it's over, right?) The Dad is grateful, and says nothing, because the house looks better and it saves him money. Eventually, when the divorce is finalized, the teenager goes to live with his Mom. Question 1: Does he get to take the car? Question 2: Does the Dad pay back his ex-wife's friends for decorating the boy's bedroom? What is this in relation to? This little story has no connection to anything in the Post or anything in the comments. I can't even find any post over the past few weeks that it seems to address. Welcome to the 6th Annual CafeAnonsBall!